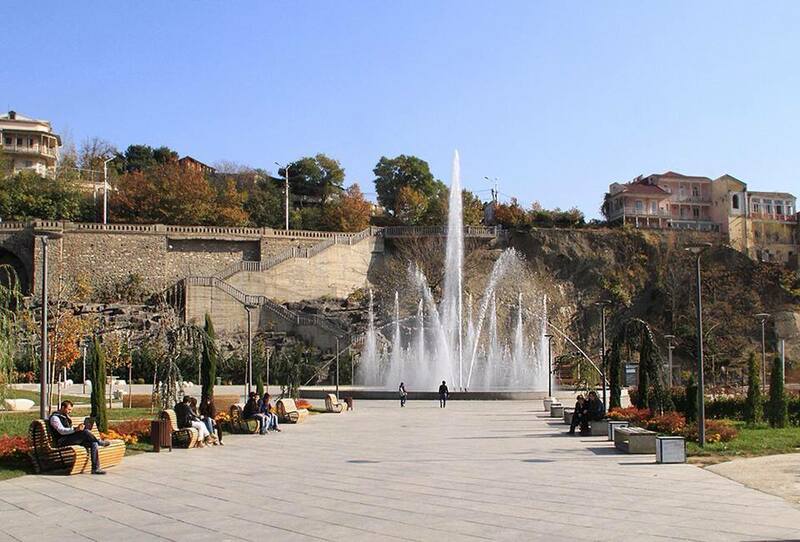 Rike Park (Georgian: რიყის პარკი) is a public recreation area in Tbilisi, popular with families, tourists and residents out for a stroll. Rike Park. Photo by Kober, via Wikimedia Commons. 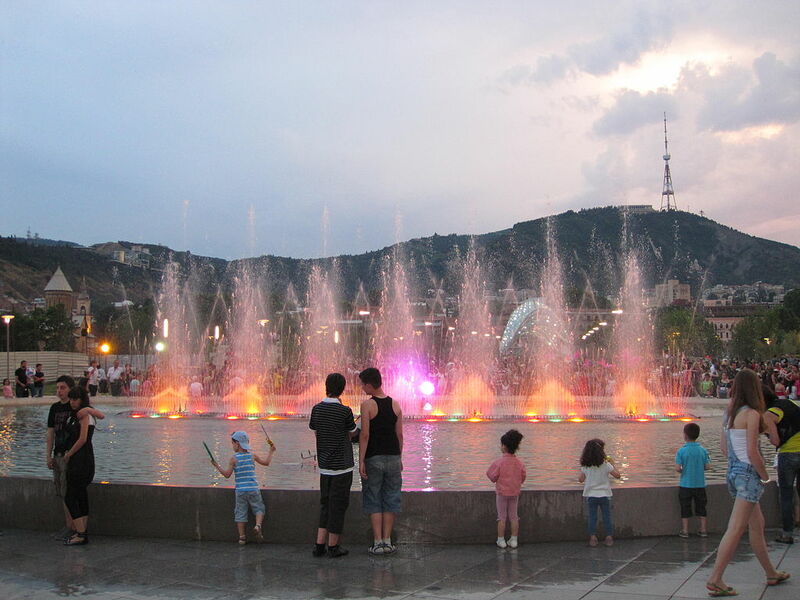 During summer evenings, a music and light show accompanies a choreographed fountain display. 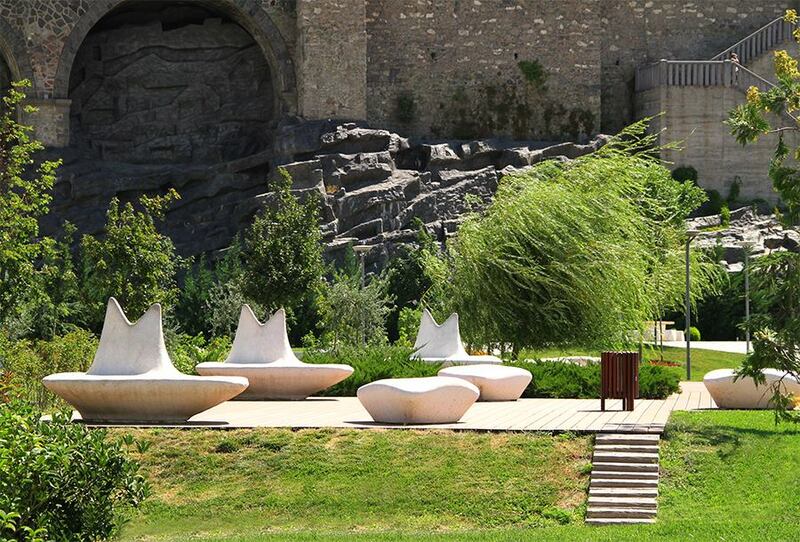 Located on the left bank of the Mtkvari River the park is easy to access from the Old Town via the pedestrian Bridge of Peace. From the other side of the river steps lead down to the park from Avlabari. 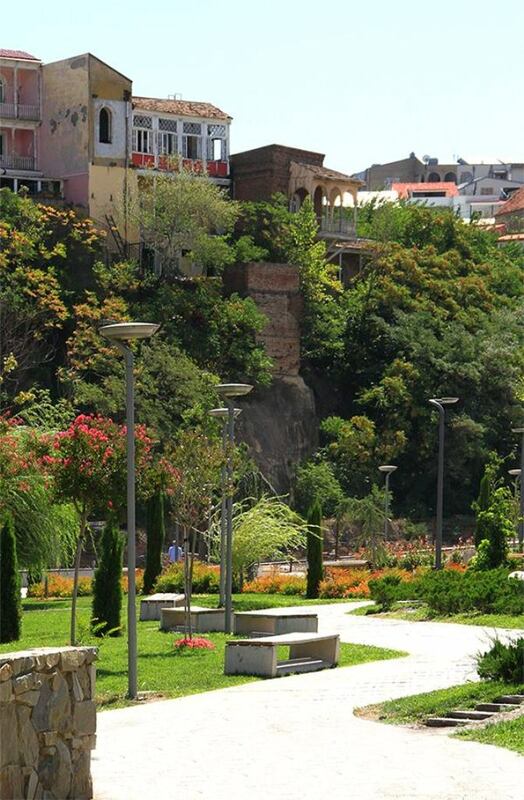 Steps leading down to Rike Park from Avlabari. 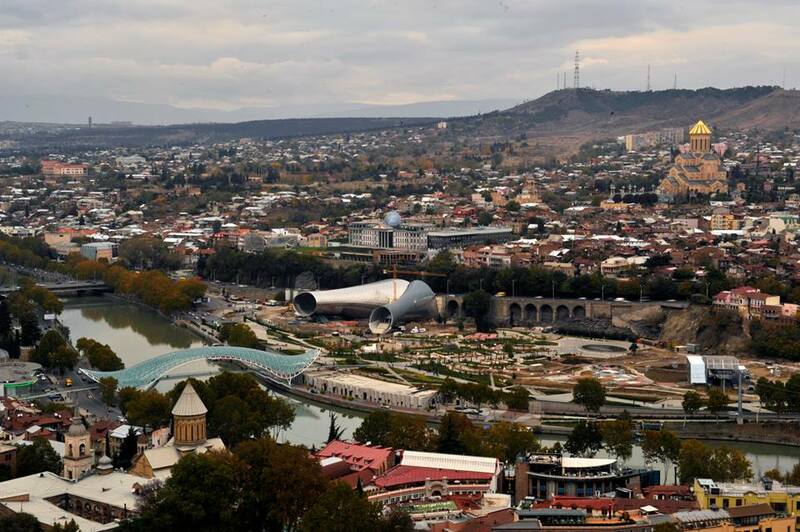 Photo courtesy of Tbilisi Government. 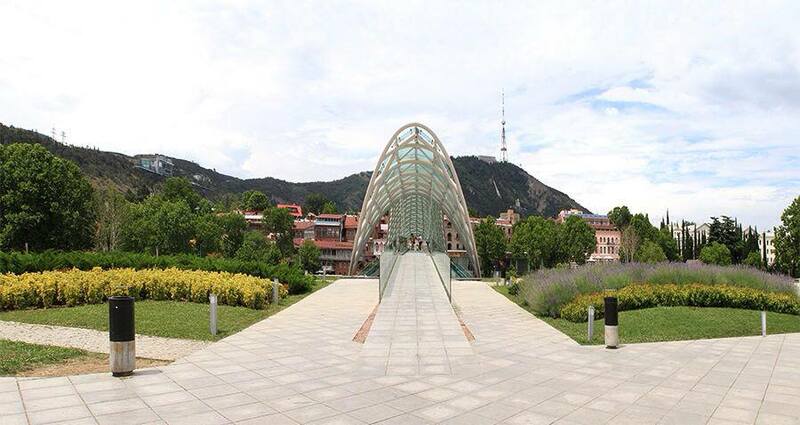 The terminal for the city’s aerial tramway is located in the park and takes visitors over the Mtkvari River and Old Town and up to Narikala Fortress. 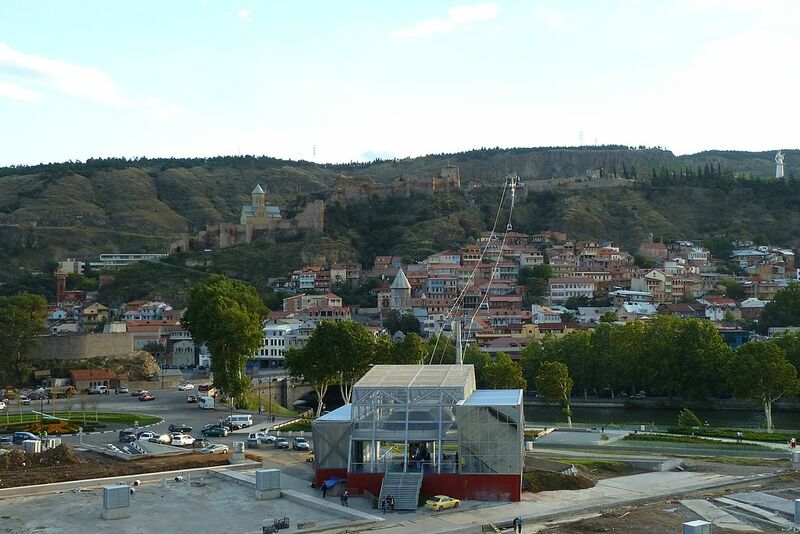 Tbilisi aerial tramway connecting Rike Park with Narikala Fortress. Photo by The Flying Dutchman, via Wikimedia Commons. 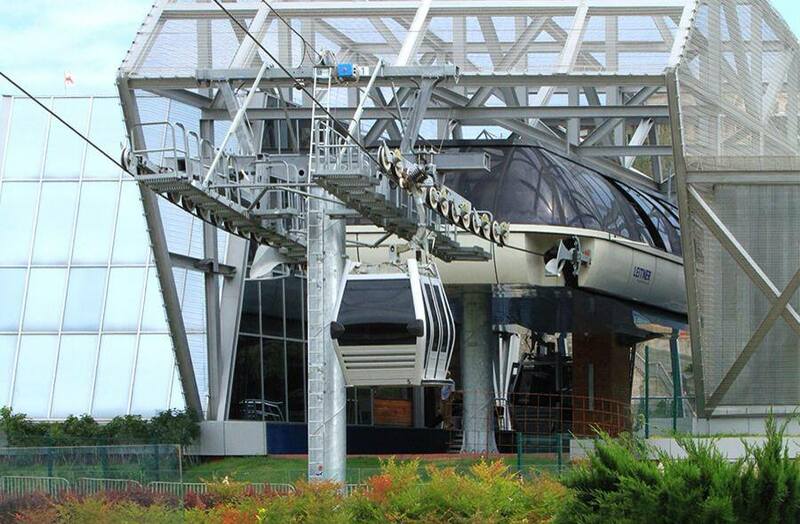 Tbilisi Aerial Tramway terminal in Rike Park. 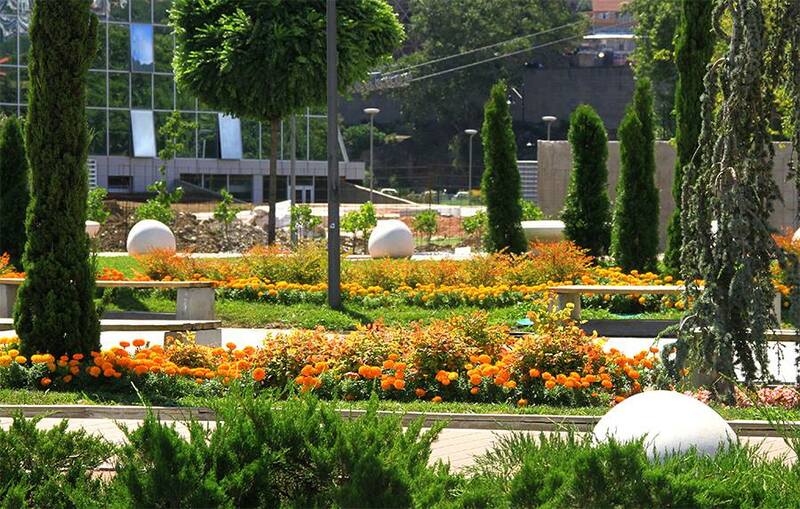 Photo courtesy of Tbilisi Government. 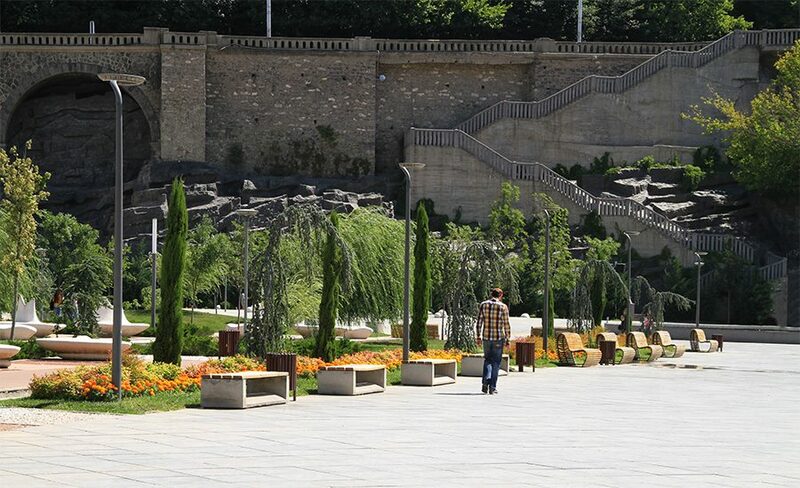 With sculptures, a large white grand piano, playground equipment, water features, a large chess board and colorful, landscaped gardens, the park has become an attraction for both tourists and Tbilisi residents. The gardens in Rike Park. 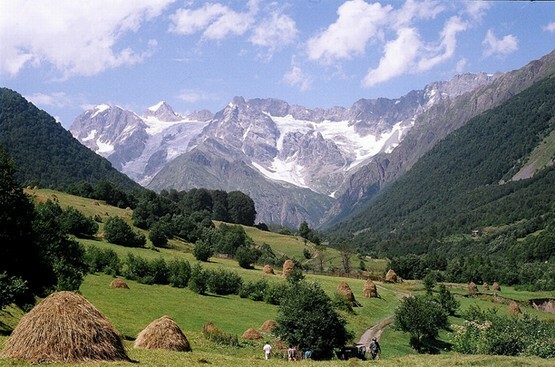 Photo courtesy of Tbilisi Government. Rike Park. 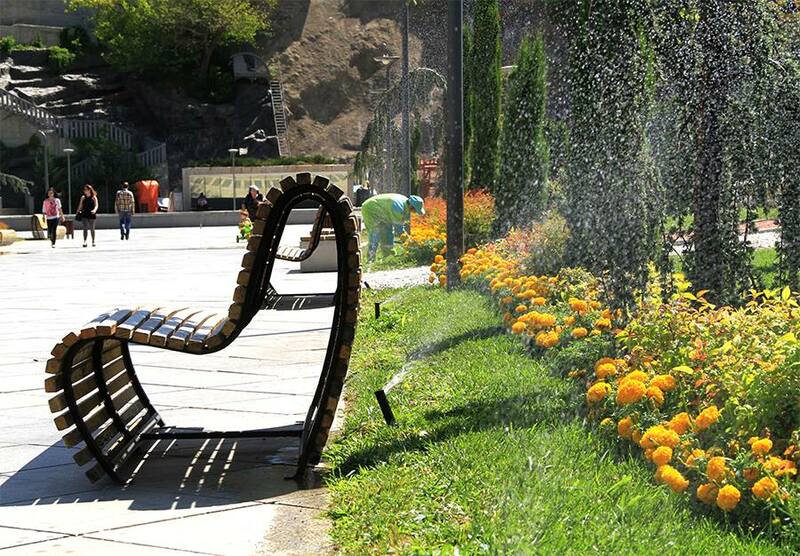 Photo courtesy of Tbilisi Government. 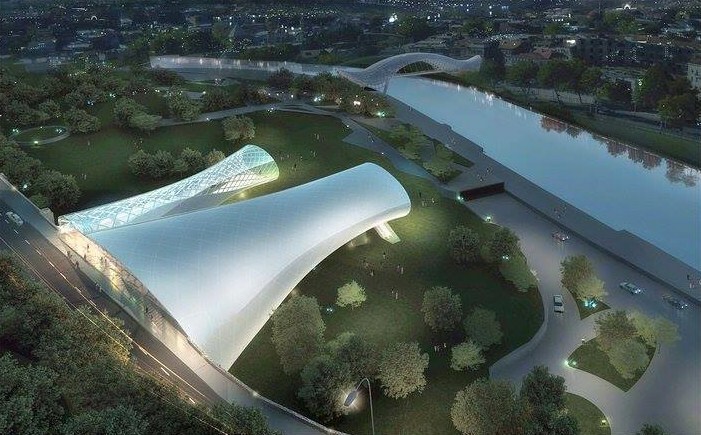 A new concert hall/exhibition center is nearing completion in the park. Concert Hall and Exhibition Center in Rike Park. 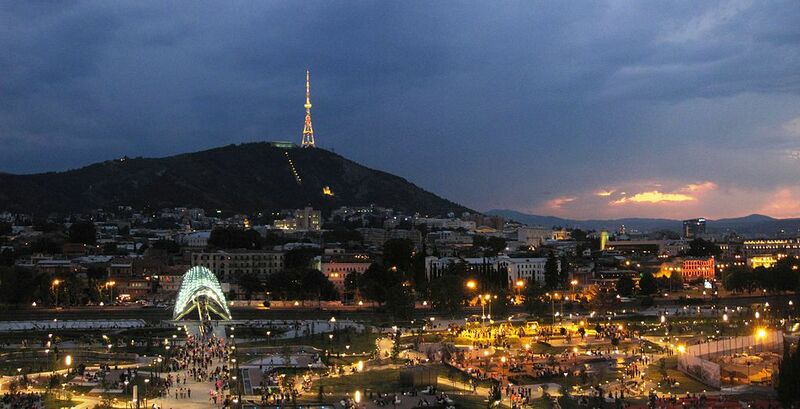 Photo courtesy of Tbilisi Government. Georgia About recommends a visit to Rike Park!